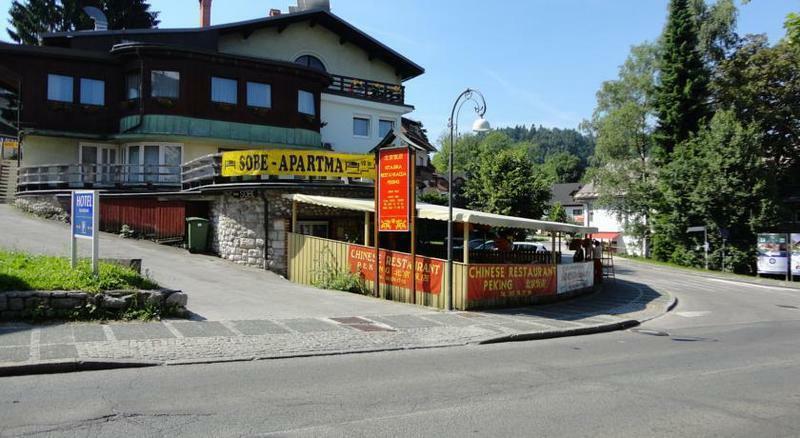 Sobe Marija Lenik is located on the side of main road in the hearth of Bled and it is only 150 meters away of the famous Lake Bled. In the lower ground floor of the building is situated Chinese restaurant with long year tradition, where on the side of it is our parking space. In our vicinity are post, bank, many shops, restaurants and also a ski centre Straa, where you can spend some time during the whole year. The main beach is only 400 meters away form the apartments. The first floor apartment is available for 6 persons and it has 3 separate bedrooms, kitchen and bathroom. 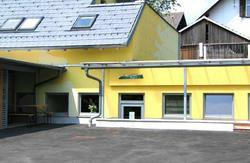 In the second floor are located 2 apartments. One ˝studio˝ is intended for 2 persons with possible extra bed, kitchen and bathroom. The second one is for 3 persons, with possible extra bed, kitchen and bathroom. All apartments are bright and nicely decorated. For better accommodation there is also free internet access in the building and beautiful terrace with lake and region overlooking. On the guests request, we can arrange for the breakfast at neighbors friendly hotel which is distanced 20 meters from us. The first floor apartment is avalible for 6 persons and it has 3 separate bedrooms, kitchen and bathroom. In the second floor are located 2 apartments. One ˝studio˝ is intended for 2 persons with possible extra bed, kitchen and bathroom. The second one is for 3 persons, with possible extra bed, kitchen and bathroom. All apartments are bright and nicely decorated. For better acomodation there is also free internet access in the building and beautiful terrace with lake and region overlooking. On the guests request, we can arrange for the breakfast at neighbours friendly hotel which is distanced 20 meters from us.